The award-winning security technology, now with an App. 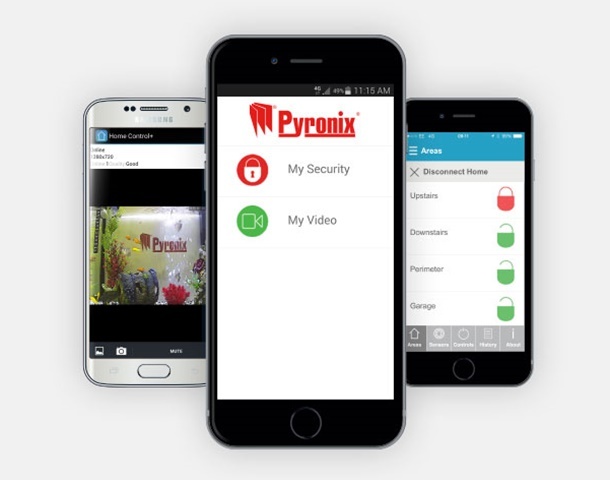 Control Your Home Security From Anywhere In The World With the HomeControl+ App linked with the PyronixCloud, you can set and unset your system, watch live video streaming, get system status and receive notification of any event in the palm of your hand from anywhere. 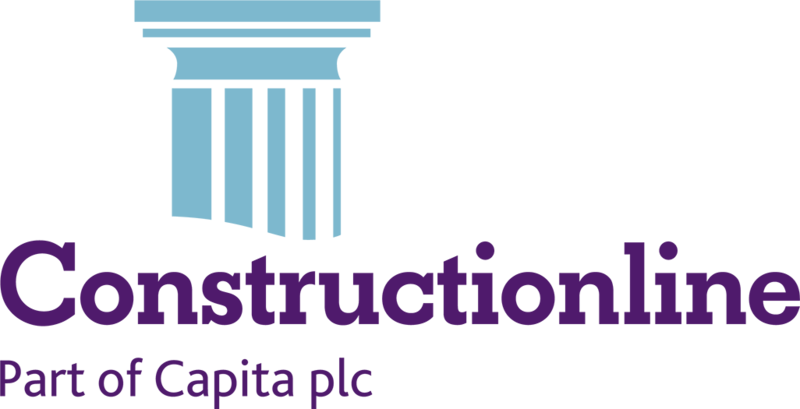 Available on Android™ from the Google Play store, and on iOS™ from the Apple App store. 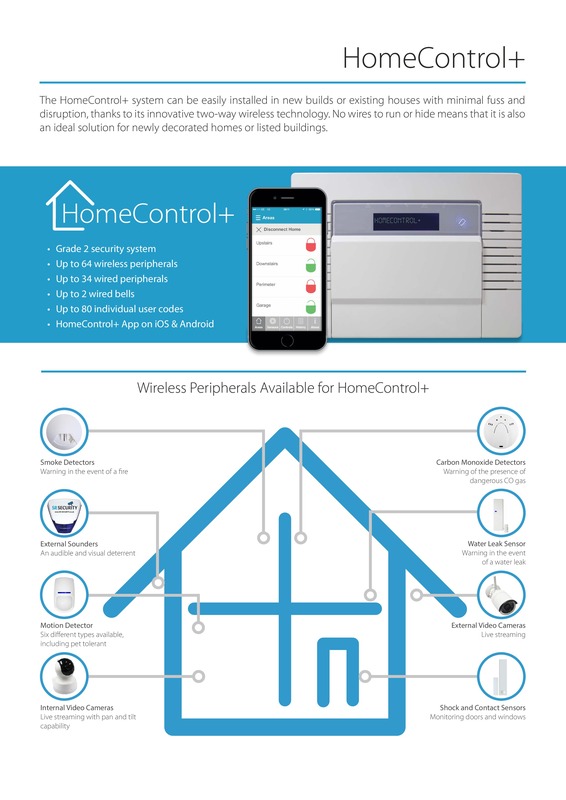 Power Saving Peripherals Each wireless device on the system ‘sleeps’ to conserve battery power when the system is not active. When the battery is running low the device will inform you of when it is time to replace the battery. This ensures that the system is always kept operational. 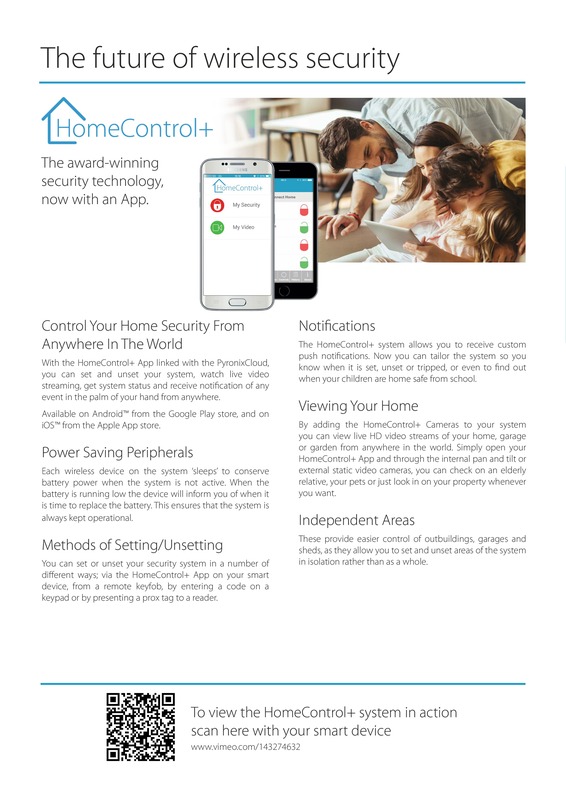 Methods of Setting/Unsetting You can set or unset your security system in a number of different ways; via the HomeControl+ App on your smart device, from a remote keyfob, by entering a code on a keypad or by presenting a prox tag to a reader. Notifications The HomeControl+ system allows you to receive custom push notifications. Now you can tailor the system so you know when it is set, unset or tripped, or even to find out when your children are home safe from school. 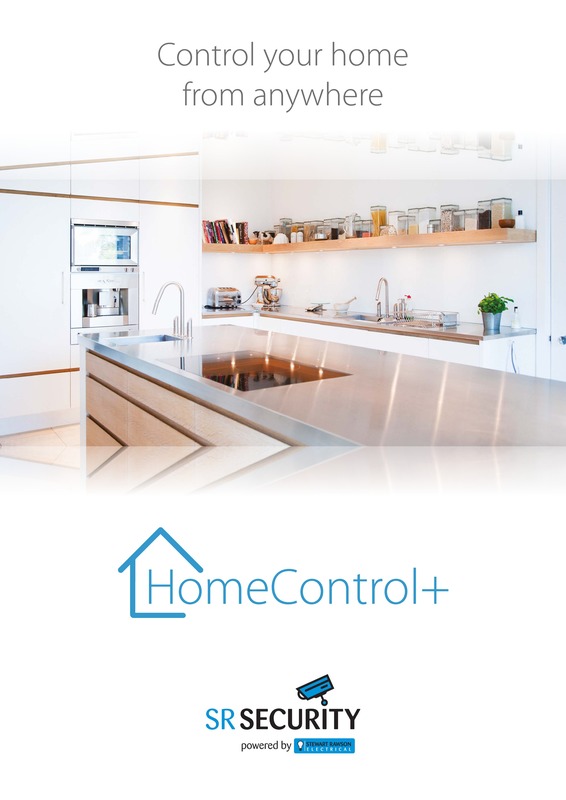 Viewing Your Home By adding the HomeControl+ Cameras to your system you can view live HD video streams of your home, garage or garden from anywhere in the world. 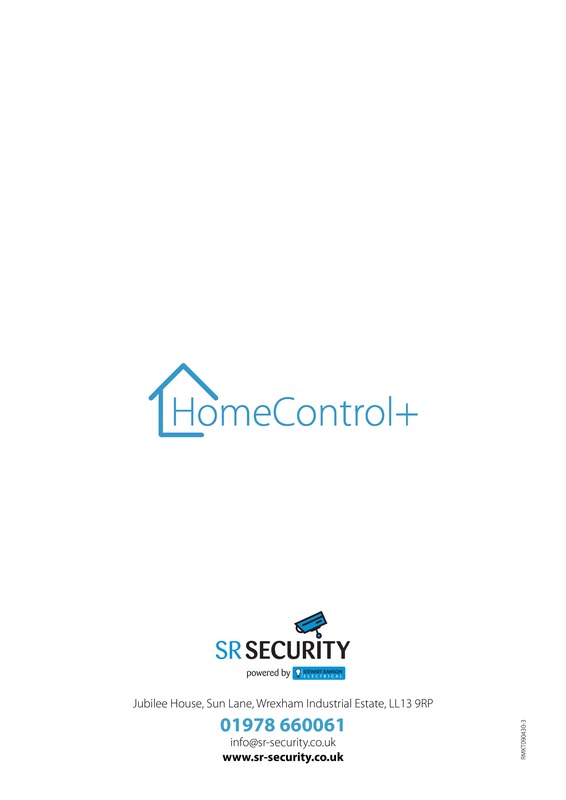 Simply open your HomeControl+ App and through the internal pan and tilt or external static video cameras, you can check on an elderly relative, your pets or just look in on your property whenever you want. Independent Areas These provide easier control of outbuildings, garages and sheds, as they allow you to set and unset areas of the system in isolation rather than as a whole.